Quilt size is 72" x 84" which fits a double bed. Fabrics are included for top and binding. 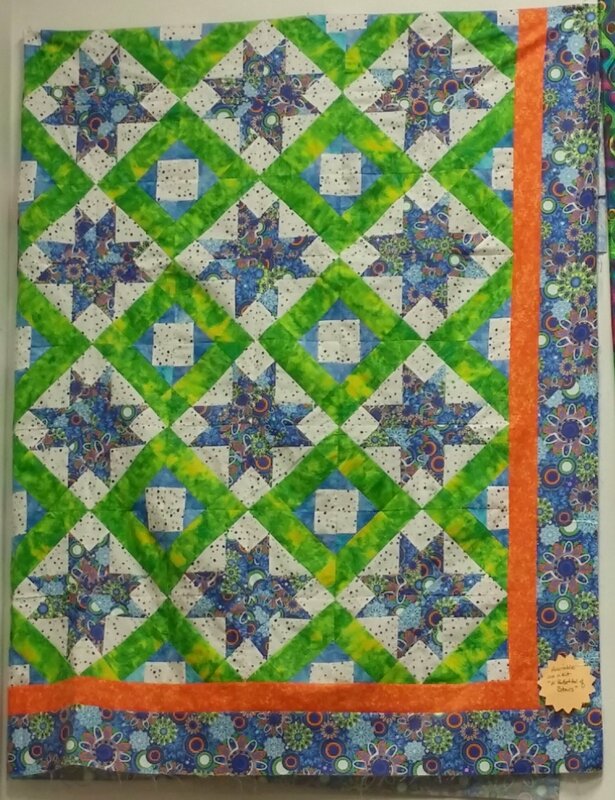 Bright blue multi colored outer border frames the fun blue stars and orange inner border. Picture is one quarter of the quilt.